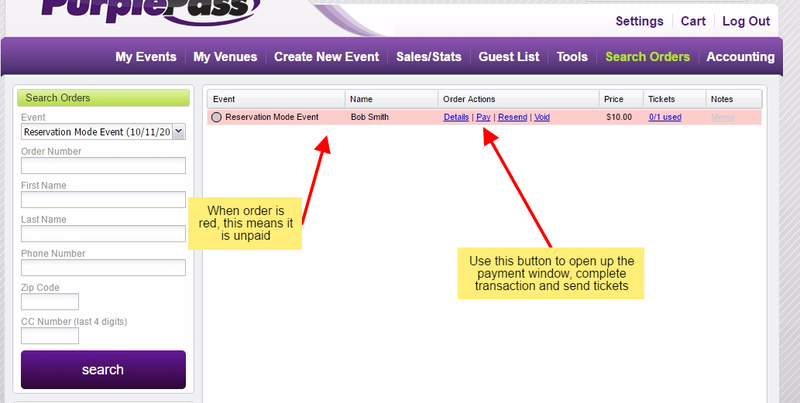 /Creating, Editing and Managing Events /Am I able to accept reservations online and process payments later after confirming the order? Yes. There is a reservations mode you can activate on your event while editing it. 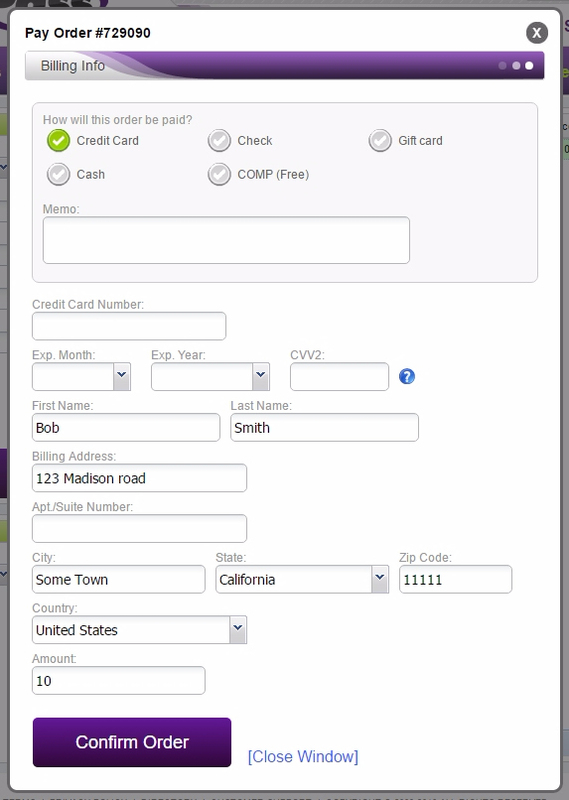 This option allows your customers to go through the order process and reserve a spot without paying initially. After they reserve, you will see their order/reservation in “Search Orders”. Look up your customer here and you will find a button that says “Pay”. 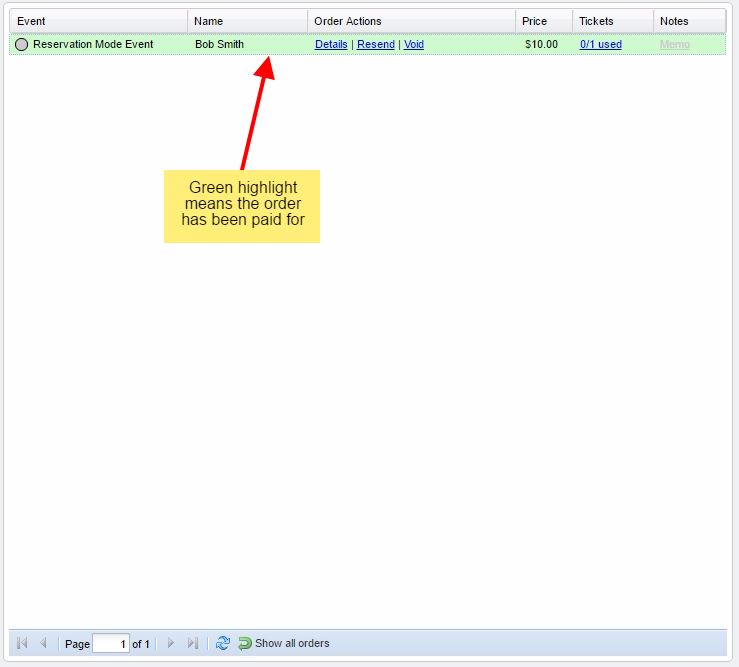 Their order will appear to be highlighted in red. This indicates that they have not paid yet.